La Fondation Erasme is an organization funding medical research. 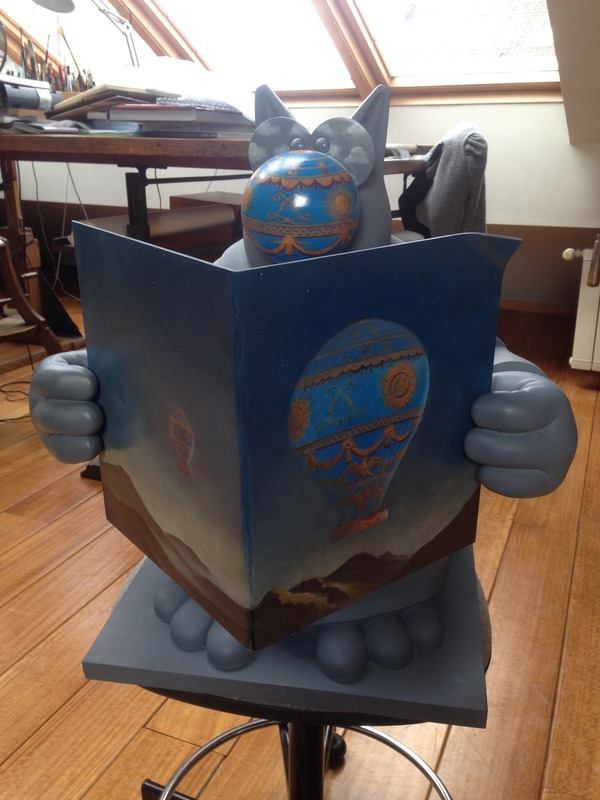 La Fondation Erasme has asked several artists in 2015 to customize a “Le Chat” statue by Philippe Geluck. 14 artists accepted the challenge including Soulages, Lagerfeld, Borremans and François Schuiten. The statue given to the artists are 51 x 44 x 60 cm. 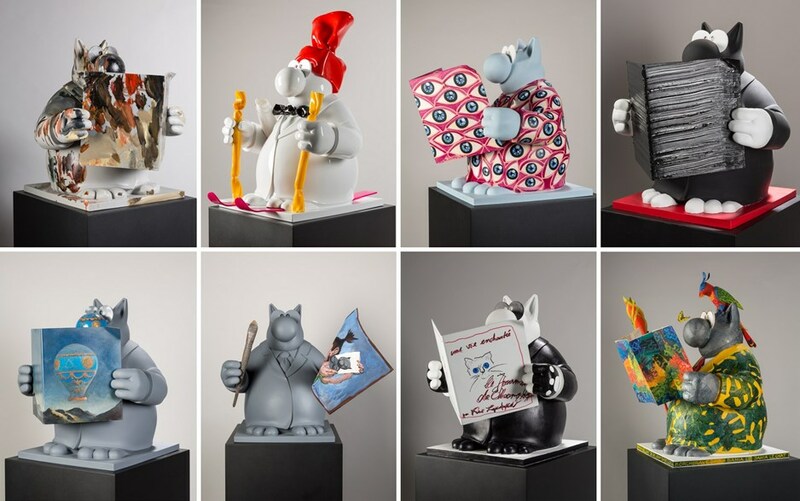 The final statues ares signed by Philippe Geluck and the artist. These unique 1/1 statues will be auctioned by Christie's. The reserved price is 3.000 euros 1). 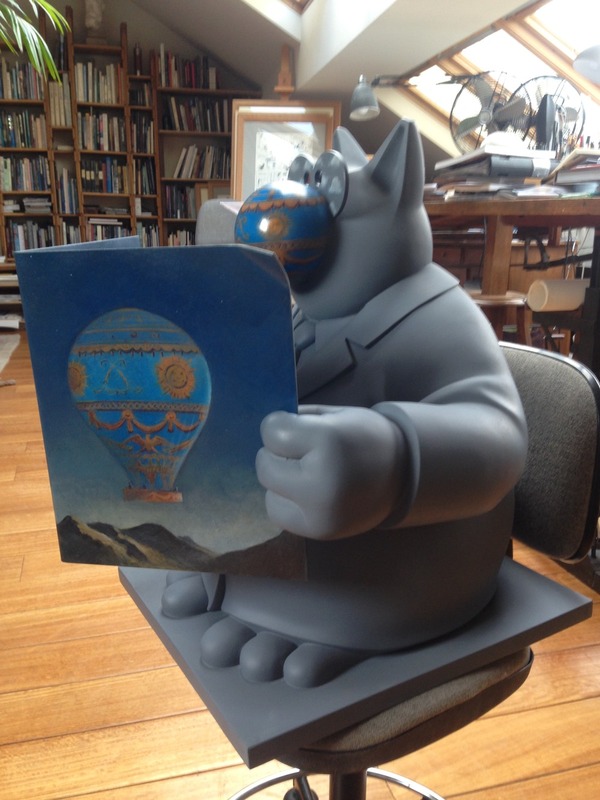 The images below made by François Schuiten show « Le Chat au Journal » with the customization by Schuiten. This statue can be viewed at Christie's in Paris from March 11, 2015 2).